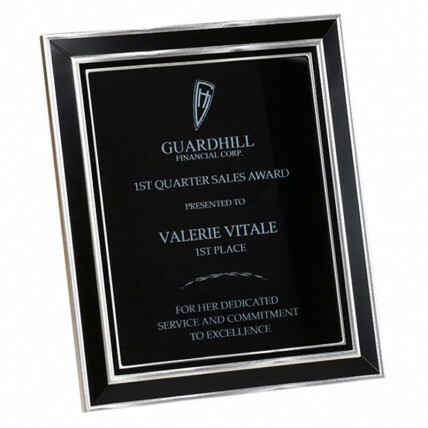 If you are looking for a unique plaque to give your most deserving employees, look no further! 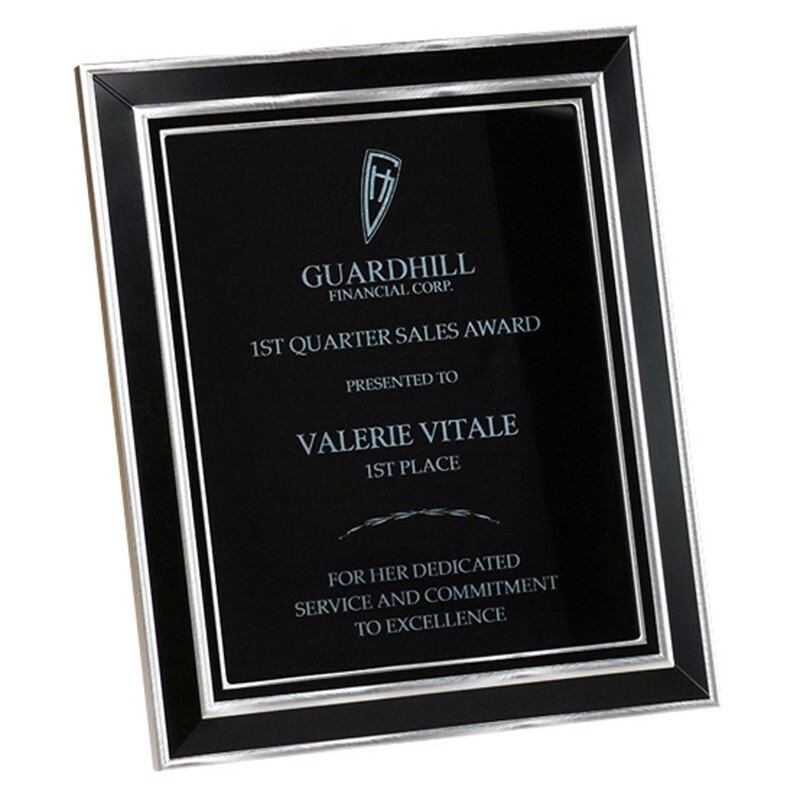 The Silver Framed Black Aluminum Plaque Award features a silver accented frame holding a black aluminum plate. This plate is personalized with your 12 lines of engraving and even a company logo, all for free! You choose from two size options for your perfect award. Includes easel back for standing. Small: 4.5" x 6.5", Large: 7.5" x 9.5"